Investors Come Ready to Buy! 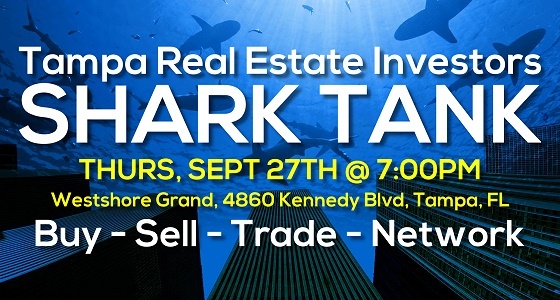 The Tampa Real Estate Investors SHARK TANK meets on Thursday, September 27th, 2018 at 7 PM at the NEW LOCATION of the Westshore Grand located at 4860 W Kennedy Blvd, Tampa, FL. If you need to sell a deal or want to find fix and flip or buy and hold deals, this is the meeting you don’t want to miss! The entire purpose of this event it to help you find more deals, sell more deals and promote your real estate business! Contracts will be provided by the Vesado team and you have the right to bid on properties being offered. You will leave with a deal done, an outline on how to pitch the deal and a team that will walk you through the process. Get ready, you don’t want to miss this new meeting! RSVP Now! Tampa REIA Members can attend at no charge. Non-Members can attend their first meeting at no charge, pay $20 at the door or RSVP online at SharkTankTickets.TampaREIA.com for Only $15. 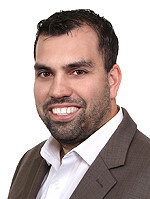 Join us at the Tampa REIA Main Meeting on Thursday, September 13th from 5PM-9PM at the Doubletree Suites Tampa Bay located at 3050 North Rocky Point Dr. West in Tampa, FL where our speaker will be one of our own Tampa REIA Members, Ben Smith, who is an active real estate investor and “virtual” rehabber. Ben will talk about the API Model of Investing (Active, Passive and Interest) and How to use Real Estate to augment your traditional stock market-based retirement accounts. He will also talk about how to accelerate your financial independence through passive and active real estate investments. Ben says that being well rooted in the principals of real estate investing can help you prosper in good markets or bad and can effectively position you for success no matter what the market brings. During this session, Ben will dive into the API Model of Investing, what type of investments fall into each category, and how to effectively compound and diversify stocks, mutual funds, real estate rentals, flips, wholesales, 401ks, Self-Directed and ROTH IRAs, and private lending. Don’t miss this educational opportunity from one of our own Tampa REIA Members! Determining Your “Why” – What Motivates You to Strive For Success? The Time Value of Money – Get Started ASAP! The Big Picture: Diversify Your Stock/Mutual Fund Portfolio; add API Real Estate! Whether you are experienced, a novice, or just interested in getting more information on how Real Estate can help you reach your financial goals, then this meeting is for you! Come and network with people who DO all these aspects of Real Estate and more! Learn how to leverage Real Estate to add to your overall investment strategy, how to operate in today’s market, and how to position yourself for the next market change! As always, Tampa REIA Members can attend our July Main Meeting event at no charge and Non-Members can Register Online for $15 or pay $20 at the door. Be sure to bring your business cards and flyers and join us for an evening of real estate deals, vendors, networking, education and fun on Thursday, September 13th! See you there! How to Analyze & Structure Deals for More Profit! Join Don DeRosa every month at our High Tech Home Buying Creative Deal Structuring Subgroup that meets one hour BEFORE the Tampa REIA Main Monthly Event at the Double Tree. Don will teach you about the state-of-the-art tools and techniques you’ll use to evaluate deals and figure out how to make them work – so you can work less and spend more time where you want, when you want and with whom you want. Do you want to learn how to start with nothing, start investing in real estate and go from zero to hero seemingly overnight? While this may sound unlikely or impossible to most new investors, David Minor didn’t get the message and didn’t take no for an answer. The Tampa Real Estate Investors SHARK TANK meets on Thursday, August 30th, 2018 at 7 PM at the NEW LOCATION of the Westshore Grand located at 4860 W Kennedy Blvd, Tampa, FL. Going on NOW for a Limited Time Only! Register today for the Two-Day Investor Summit on Saturday & Sunday, August 18th & 19th held at the Doubletree Suites Tampa Bay located at 3050 North Rocky Point Dr West in Tampa, FL being taught by Bill and Dwan Twyford, the Real Estate Rockstars and the Nation’s leading experts in Short Sales, Foreclosures, Flipping and Negotiating! As you can see this will be a knowledge packed 2 full days of excitement and education. We look forward to seeing you at this great event on Saturday and Sunday, August 18th & 19th, 2018! 10 Steps to Building a 7 Figure Income in Less Than One Year + Insights Into the Next Big Real Estate Crash! 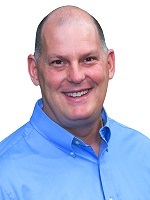 Join us at the Tampa REIA Main Meeting on Thursday, August 9th from 5PM-9PM at the Doubletree Suites Tampa Bay located at 3050 North Rocky Point Dr. West in Tampa, FL where our special guest speaker will be Bill Twyford, The Real Estate Rock Star! 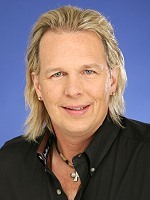 Bill is one of the Nation’s leading experts in short sales, foreclosures, flipping and negotiating. He will show you how to make big dollars on deals other investors walk away from as well as his “10 Steps to Building a 7 Figure Income in Less Than a Year”. Bill is also going to spend the evening looking into the future of the Tampa Bay real estate market… You don’t want to miss this. 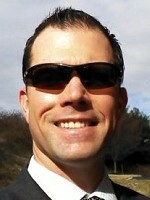 Bill will show you what areas are gaining momentum and what areas are losing momentum in our own back yards. He will also share the six triggers that drive your momentum in our market. What ZIP CODES are HOT and what ZIP CODES are NOT. If you like what Bill has to share at the meeting and want more, you will be happy to know that he and his wife Dwan and their son Bill will be back in Tampa for a 2-Day Investor Summit on Saturday & Sunday, August 18th & 19th. As always, Tampa REIA Members can attend our July Main Meeting event at no charge and Non-Members can Register Online for $15 or pay $20 at the door. Be sure to bring your business cards and flyers and join us for an evening of real estate deals, vendors, networking, education and fun on Thursday, August 9th! See you there! Does talking to Sellers on the phone make you sweat? When you drive neighborhoods looking for ugly properties, does it stress you out because you don’t know what to look for? Does the thought of talking with Sellers face-to-face make you nervous? Do you avoid knocking on doors because you’re afraid you don’t know what to say? These are all very common fears that all beginning investors have when seeking out their first few deals. Learning how to deal with these issues can make the difference between your success and failure. You will also be making and taking live calls from REAL Sellers! Day Two will be spent in the FIELD putting everything you learned in the classroom to immediate use. We will meetup on Sunday, August 12th, 2018 at 8AM Sharp at the IHOP located at 4910 W Spruce, Tampa, FL. You will be paired up with another classmate and literally go into the field and drive for dollars, door knock and talk to live sellers as well as seeking out and finding vacant properties. If talking with sellers is a challenge for you, then you DO NOT want to miss out on this BRAND-NEW TRAINING EVENT we created just for YOU! There will be lots of hands-on practical applications in this event unlike anything you’ve probably ever seen. We will immerse you in the real estate investor experience so that you will quickly learn the skills you need to give you the confidence to talk with Sellers like a seasoned PRO. Well, if you would like to learn more about this fascinating new topic, join us on the Beginning Investors Group Online webinar on Tuesday, July 24th at 7PM ET for a “Beginner’s Guide to Cryptocurrency” with the Godfather of Wholesaling, Mike Cherwenka! If you’ve been hearing about cryptocurrency and want to learn more about it and how it relates to real estate investing, register for the webinar now at BIGO.co and join us on Tuesday, July 24th at 7PM ET to find out more! 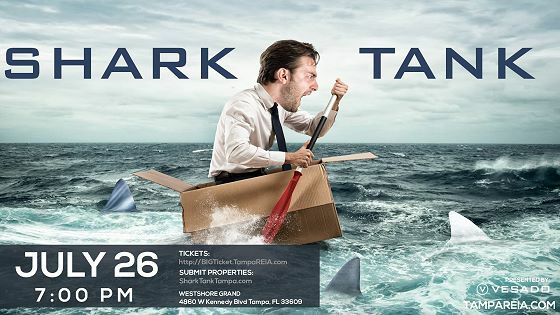 The Tampa Real Estate Investors SHARK TANK meets on Thursday, July 26th, 2018 at 7 PM at the NEW LOCATION of the Westshore Grand located at 4860 W Kennedy Blvd, Tampa, FL. Tampa REIA Members can attend at no charge. 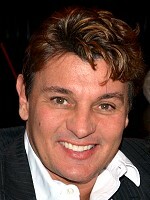 Non-Members can RSVP online at SharkTankTickets.TampaREIA.com for Only $15 or pay $20 at the door. The Tampa Bay real estate market is on fire right now. And all those “flipping houses” shows on TV have rehabbers turning up the heat. Tricked out rehabs are hotter than ever and selling fast… often in hours or days instead of weeks or months for full list price or more! 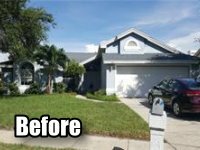 Have you ever wanted to flip houses for big profits like they do on TV? Have you ever wondered how it really works in the real world and if its as easy and as profitable as they make it seem on TV? Have you ever wondered how to do it yourself, but don’t know where to start? Well, if you want to “Make a Flipping Fortune Fixing and Flipping Houses”, be sure to join us at the Tampa REIA Main Monthly Event on Thursday, July 12th from 5PM-9PM at the Doubletree Suites Tampa Bay located at 3050 North Rocky Point Dr. West in Tampa, FL where Don DeRosa will show you how. Don’t sit back and watch all your friends get rich flipping houses. 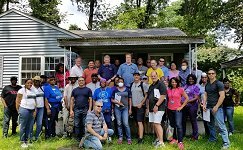 Join us at the meeting and learn how you too can get into the house flipping business and make the money that you deserve faster than you ever thought possible! Mark your calendar and come join us to learn how to Make a Flipping Fortune Tricking Out Your Rehabs at the Tampa REIA Meeting on Thursday, July 12th from 5PM-9PM at the Doubletree Suites, 3050 North Rocky Point Dr. West, Tampa, FL. TAKE ACTION, RSVP NOW & DON’T MISS IT! Don is a full-time, seasoned investor who is currently rehabbing his own houses in Atlanta, GA. Don is also a mentor and has taught many other investor how to successfully complete their own. Don’t miss out on this great opportunity to get your house flipping business up and going quickly. To see Don in action, check out the Atlanta Onsite Renovation Group replays on Youtube. As always, Tampa REIA Members can attend our July Main Meeting event at no charge and Non-Members can Register Online for $15 or pay $20 at the door. Be sure to bring your business cards and flyers and join us for an evening of real estate deals, vendors, networking, education and fun on Thursday, July 12th! See you there! Hack Your Way to Your First Real Estate Deal! Join us each month at our High Tech Home Buying Creative Deal Structuring Group that meets one hour BEFORE the Tampa REIA Main Monthly Event at the Doubletree Suites. Most people have the ability to get started investing in real estate leveraging the “stuff” they already have or have access to whether they know it or not. It’s kinda like “creative deal structuring”, but instead of solving someone else’s problem, you start by solving your own problems. Basically, you start by reorganizing what you have or have access to, to get where you want to go. You utilize assets you already have to gain control of larger assets and so on. Are you ready to take advantage of the rising real estate market and get in on the red hot house flipping scene? Are you thinking about flipping but don’t know how? Does the idea of renovating properties by yourself scare you to death? Don’t know where to start? If the answer to any of these questions is YES, then you absolutely need to attend Don’s all new upcoming 3 Day Fixing and Flipping Event! Come see Don on July 13th – 15th, 2018 at the Doubletree Suites Tampa Bay located at 3050 North Rocky Point Dr West in Tampa, FL, where he will spend three full days teaching you how simple it actually is to Find ‘Em, Fund ‘Em, Fix ‘Em, and Flip ‘Em! You will spend three full days learning the art of flipping houses. Don will show you a Step-by-step process to evaluate, avoid rookie mistakes and build a highly profitable fix and flip business. 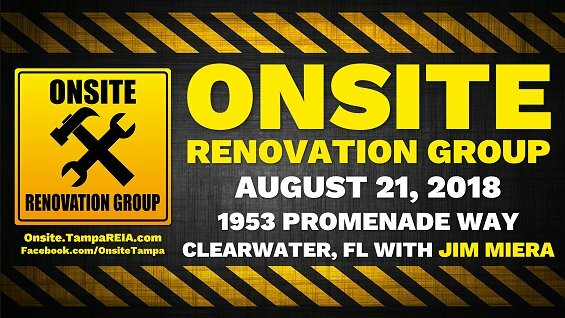 Please join us on Tuesday, July 17th at 1:00PM for the Tampa REIA Onsite Renovation Group hosted by Jim Miera, to learn all about finding, funding, fixing, and flipping houses for big profits. This month’s meeting will be held at 9920 San Sebastian Way in Port Richey, FL. 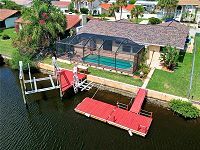 This is a unique 3 bedroom, 2 bath, 1922 sq ft WATERFRONT property with a pool, boat lift and dock located on a canal only a few minutes to the Gulf of Mexico! This home was rehabbed by Karin Cohen and Isaac Drix under Kiausa, LLC and is now under contract! Don’t miss the rehab story on this unique property which has many lessons to be learned. We look forward to seeing everyone at this unique rehab case study on Tuesday, July 17th at 1PM in Port Richey. This rehab will be an exciting and powerful event to learn from! RSVP Now and we will see you there! 5 Secrets the Banks Don’t Want You To Know! RSVP Right Now at BIGO.co to attend the Beginning Investors Group Online on Tuesday, June 26th at 7PM with Dwan Twyford as she unlocks the secrets to real estate investing success in today’s changing economy. 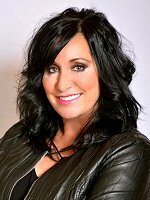 Having flipped over 2,000 deals herself, she is more than qualified to share her vast knowledge of real estate investing with you. Dwan will unleash her personal secrets to get the banks to PAY YOU to close deals in detail. Then she will share some of the tidbits you will learn at the weekend Investor Summit in Atlanta on June 30th and July 1st. She will walk you through several step-by-step insider secrets and share how some of her students have made in excess of $50,000 on a single transaction. If you are serious about real estate investing, you can’t afford to miss this webinar with Dwan. REGISTER NOW! Also, be sure to checkout the 2 Day Investors Summit with Dwan & Bill Twyford in Atlanta on June 30th and July 1st, 2018! 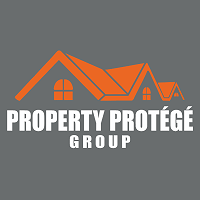 We’ll Be Covering Rehabbing Houses for Big Profits!